ALBUQUERQUE, N.M. — Attorney General Jeff Sessions took new steps Thursday to punish cities he believes are not cooperating with federal immigration agents in a move that was met with bewilderment by local officials who said they did not know why they were being singled out. Baltimore, Albuquerque, and Stockton and San Bernardino in California all expressed interest in the Justice Department's Public Safety Partnership, which enlists federal agents, analysts and technology to help communities find solutions to crime. "By taking simple, commonsense considerations into account, we are encouraging every jurisdiction in this country to cooperate with federal law enforcement," Sessions said in a statement that accompanied the letters. "That will ultimately make all of us safer — especially law enforcement on our streets." 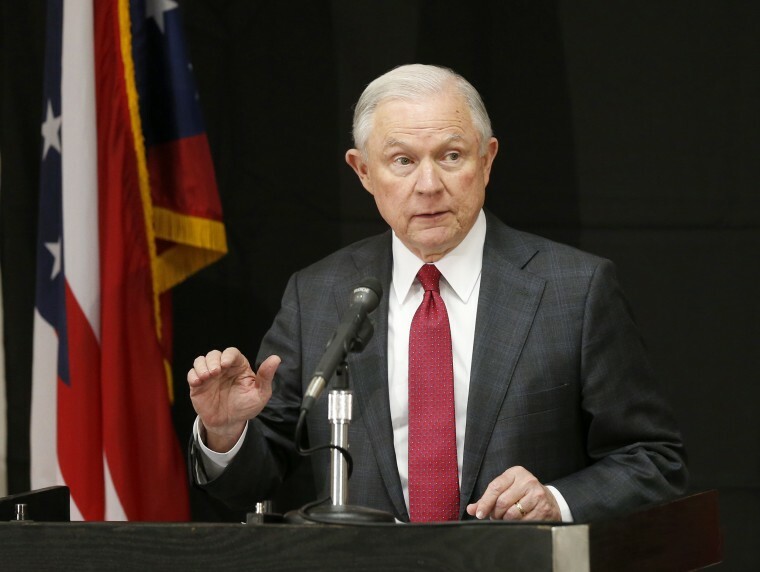 The threat marks Sessions' latest effort to force local authorities to help federal agents detain and deport people living in the country illegally as part of a push to reduce crime he believes is linked to illegal immigration. The attorney general has repeatedly vowed to withhold federal money from cities that do not cooperate, similar to how previous administrations have held back highway funds during debates over the speed limit and drinking age. In a letter to Sessions, Republican Albuquerque Mayor Richard Berry denied that New Mexico's largest city is a sanctuary for immigrants living in the country illegally and said he has been trying to work with immigration authorities since taking office in 2009. In fact, Berry said, Immigration and Customs Enforcement staffing at the prison transport center fell in recent years. "If your agency has questions or concerns with our (Bernalillo) County jails, I would refer you to their leadership," Berry wrote. Peter Simonson, executive director of the American Civil Liberties Union in New Mexico, called the demands "a bullying tactic." Another concern raised by cities is that police who patrol the streets book suspects into jails run by county or state authorities over which they have no control. The Justice Department's letters focus on giving federal immigration agents access to such detention facilities. "The city of San Bernardino has never taken any formal act to declare itself a sanctuary city," Burguan said. "Our policies have been very, very consistent over the years." "That does not mean we don't work with our other federal partners, but that is just not a function of ours," he said. "We are receiving tremendous federal support for the violence-reduction actions, and we wouldn't want anything to deter the progress we hope to make on that front," McCarthy said. Sessions has pledged to make fighting immigration and street crime the Justice Department's top priority, but the strategy is putting him at odds with some city leaders, who say the best way to fight crime and build community trust is to keep local police out of federal immigration matters. In the four letters, the Justice Department asked the prospective cities' police departments to show proof of their compliance by Aug. 18. In Albuquerque, immigrant student activists said the letter was part of the Trump administration's broader attack on immigrants. "It is a vision of terror for families like mine," said Gabriela Hernandez, Southwest Organizer for United We Dream.